A card system that offers many advantages for players and operators alike! Developed to revolutionize the way money is handled by players and operators, magicPAY makes gaming faster and easier. magicPAY offers maximum convenience for the players and higher revenues for the operators. This Win-Win situation is even intensified by the fact that the magicPAY card is a RFID smart card which means that the players don’t have to insert the cards into card readers but just have to hold them against a marked spot on the machines in order to load credits onto the machines. The process is extremely simple and requires no complex actions from the players. The loyalty system of REAC. This system can be integrated very easy with MagicPAY. With this loyalty system you are able to reward the real valuable customers! 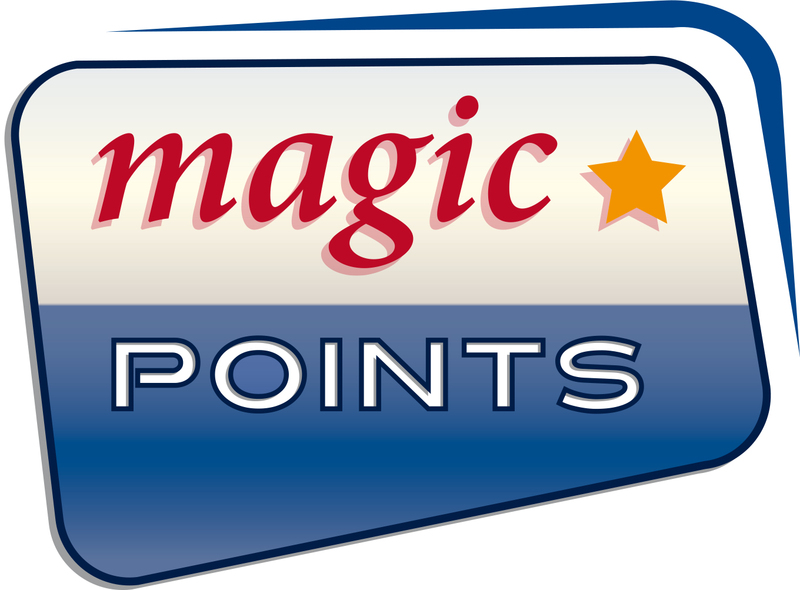 You determine how many points will be collected, for what they can redeem their points and the value of the MagicPOINTS. Saving points on the card, with your own unique design! REAC has developed numerous Jackpot systems which are used in several casino’s and arcades. The Jackpot system is part of the management information system and attracts more players. All REAC Jackpot systems have been tested according to industry standards. 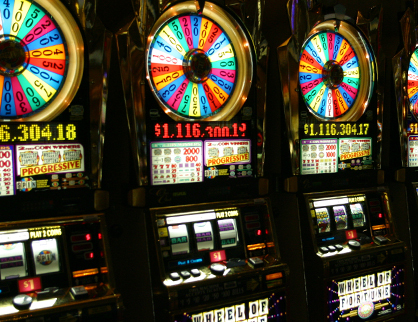 A Jackpot system has various options, enabled features are depending on local regulations. REAC has developed its Management Information System from scratch, fine-tuned the systems over the years and added new modules so that today it’s a complete system for arcades and smaller casinos. All software modules have been developed by REAC engineers and all hardware has been designed in REAC’s R&D department. REAC and Cash support have put their heads together in order to offer a complete cashless gaming solution for gaming arcades and casino’s. The CTM-ONE and CTM-TC / CD greatly unburden cashiers at arcades and casino’s from tasks such as money exchange, paying out winnings, issuing/loading and taking receips of RFID cards, and other routine tasks. Players just insert money into one of the kiosks, receive their loaded magicPAY card and proceed to their chosen machine. If they wish to leave the gaming arcade, they return the card to one of the kiosks, receive their deposit and the balance on the card in cash and can leave the casino without having to queue at the cash desk. The Horeca Management System (HMS) is a systems that REAC has developed in conjunction with Suzo especially for the machine operators in restaurants, pubs and bars. The main task of this system is to increase the efficiency of the operation and to control its money flow. The system allows worldwide access to all relevant information en data which means that operators can manage their operations remotely. All real-time data are saved in a report generator which enables an operator to monitor his operation during various periods and to take action if and when necessary. In case of malfunctions, a message is sent to headquarters. By means of the GPRS system, the operator sees which service engineer is closest to the location and is dispatched to solve the problem. The biggest advantage is that operators are no longer dependent on other people to report the error. Every amusement machine contains a black box which registers all actions by means of a protocol, like e.g. if a cashbox is opened at an unusual time. A message is immediately generated and sent to headquarters in order to immediately take action. The HMS is also equipped with a battery back-up, which means that even if electricity is shut down, the machines remain online and continue to register any actions. The HMS is equipped with an electronic key. This key guarantees the registration of all actions that are carried out by service personnel, such as e.g. the exchange of machines with the relevant time registration. REAC is cooperating with Signs4u. 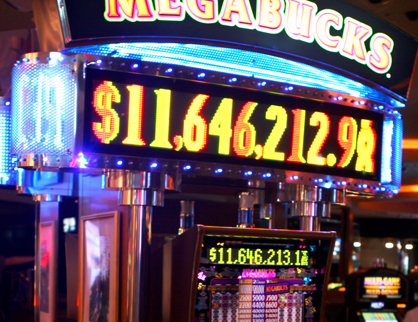 Signs4U is one of the biggest and most popular suppliers of jackpot signage and accessories. De signs of Signs4U can be linked to any REAC system.